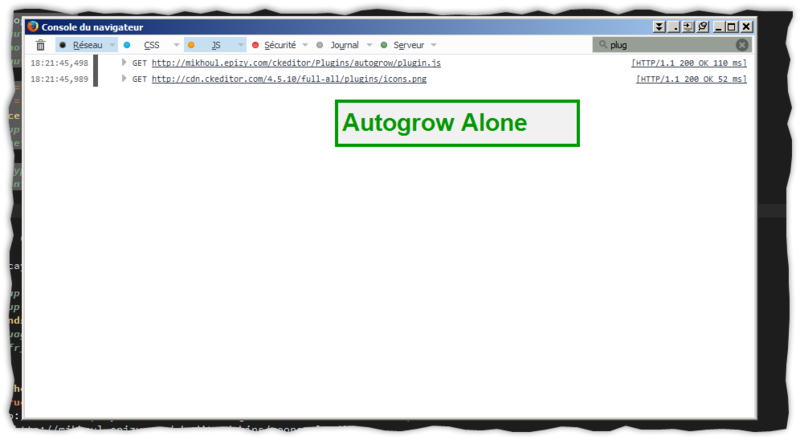 Install AUTOGROW plugin alone with cdn.ckeditor.com/4.5.10/full-all/ckeditor.js and it will work fine. 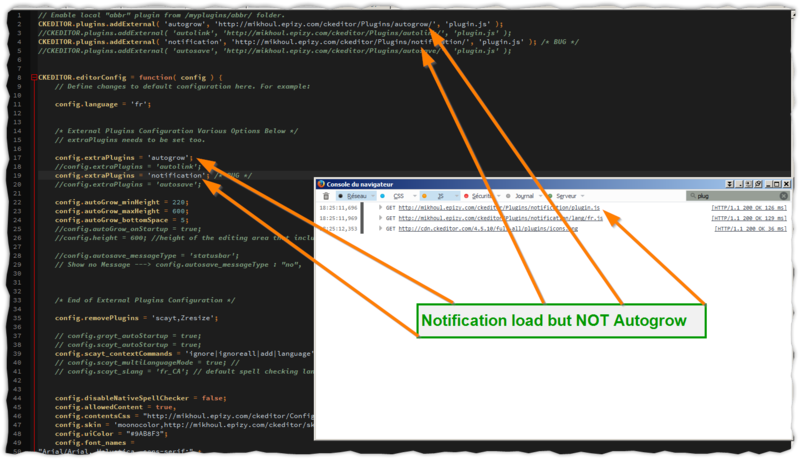 AUTOGROW don't work when NOTIFICATION plugin is installed. N.B. : If you need more information just let me know if I forget something. After some testing I have more informations. In the Firefox console through "network" I can see that as soon I add the notification plugin the autogrow plug in is not "called/loaded". Hoping it will help you to better understand what happen.